No matter what job you need it for, if you’re interested in a durable, reliable selection of eye nuts, including the din 582 eye nut, then look no further than our fantastic range. 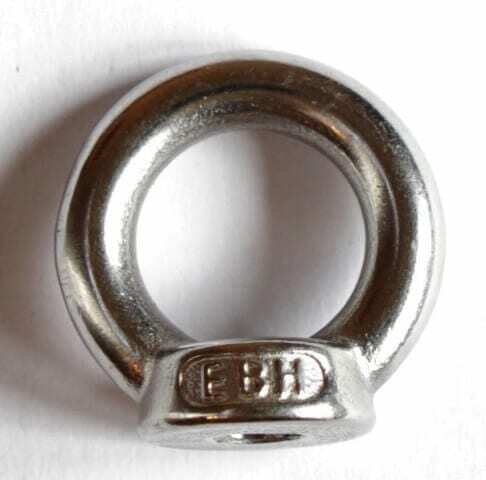 You’ll mostly find DIN 582 eye nuts being used in affixing wire ropes or other cabling to a specific fixed structure. Where already present, the eye nut can simply then be fitted to the screw which is already in place. However, it’s important you choose the right size because if it’s too big for the screw it won’t hold tightly enough. Once in position, the base of the eye nut should be totally flush with the floor or wall it’s attached to. Fashioned from high grade sold stainless steel, our highly reliable DIN 582 eye nuts give remarkable value for money and are simple to use. They’re enduringly resistant to rust too, even when out in the elements over long time periods. Sizes between 6mm right up to 20mm are available, and they’re very handy for many outdoor pursuits like yachting, boating and hiking, as well as for heavier commercial purposes. Not too sure, let Rope Services Direct help! With so many designs and sizes on offer it’s hard to choose. Why not also view our wide selection of wire rope grips and eye plates too? As you can see we offer an amazing range of eye nuts for any need you can think of, and can save you effort, time and – importantly – money. 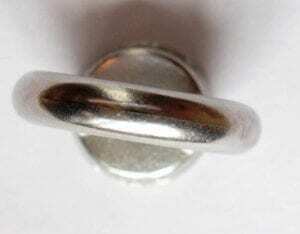 To order this eye nut why not call us now on our local rate Dudley number 01384 78004? Or if you’d prefer, you can complete our contact form and we will contact you shortly after. Din 582 Eye nut Overall rating: 5 out of 5 based on 6 reviews.